Hanging a few pieces of art on the wall is often what makes a room complete, however it can be the most daunting decision to make. Kids rooms offer a special challenge because you’re not only trying to please them, but find something you like to look at too! 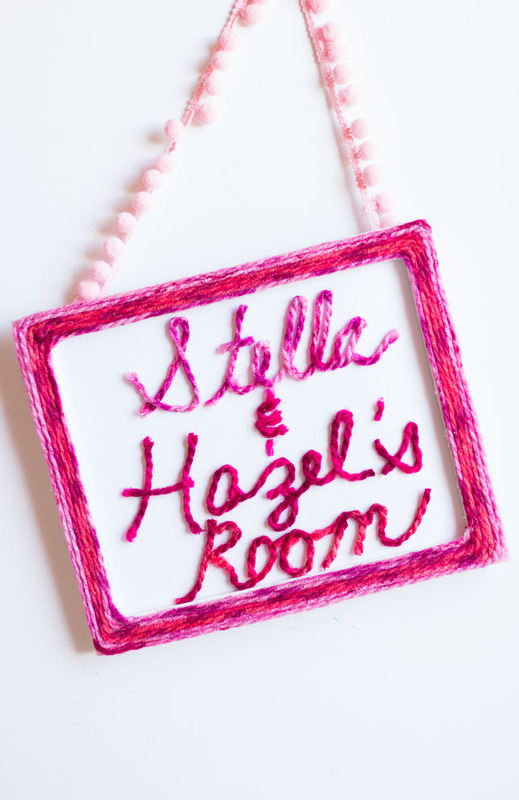 I recently furnished Stella and Hazel’s bedroom with the help of Hayneedle and thanks to the amazing selection of kids art at Minted found just the pieces to be the icing on the cake in their new room! 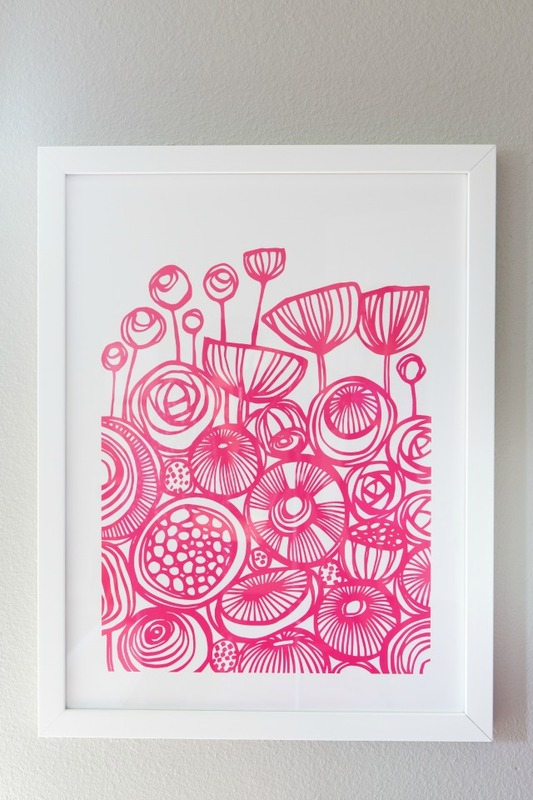 Wanting to add some new art to your child’s room but don’t know where to start? 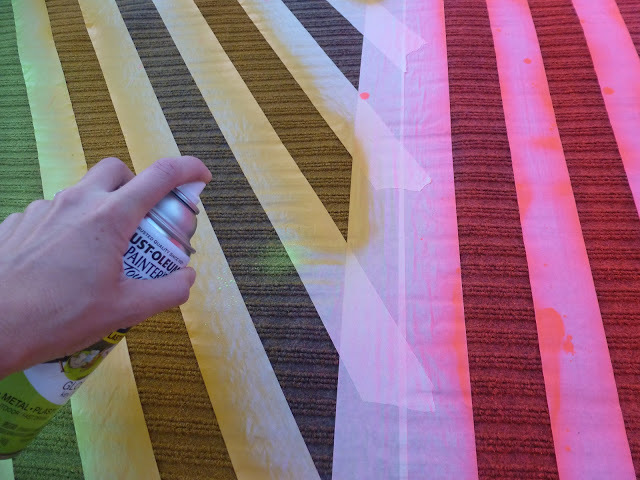 Here are a few simple tips to help you find just what you’re looking for! 1. 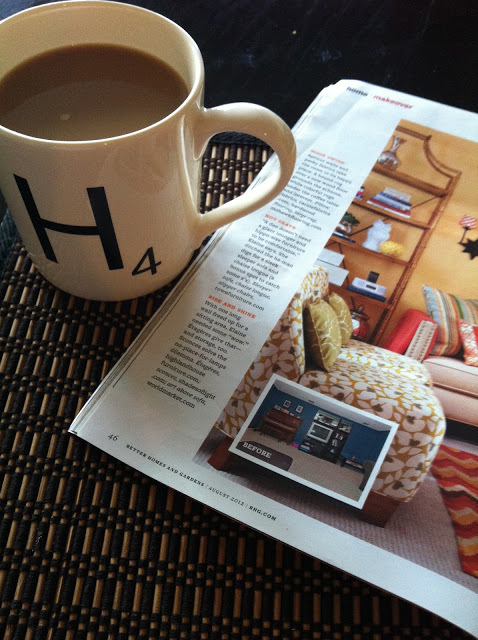 Think whimsical, but not childish – avoid choosing art that is too “themey” or character based. 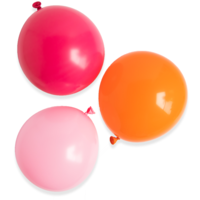 It is likely that your child will outgrow these and be on to the next thing before you know it. This is a hard one because kids love characters – Stella loves Barbie and Hazel loves Curious George, but rather than put them on the walls, they each have a pair of sheets in their favorite character, which can be hidden under their pretty white quilts during the day. 😉 2. 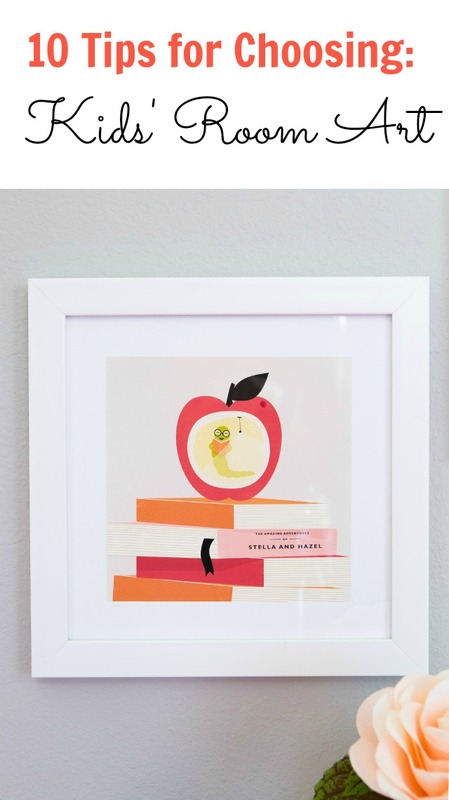 Reflect your child’s interests – incorporate something your child loves in one of the pieces of art whether it is sports, bugs, reading, space, etc. This Be a Bookworm art was the perfect piece for my girls who love their weekly trip to the library. The extra personalization makes it super sweet! 4. 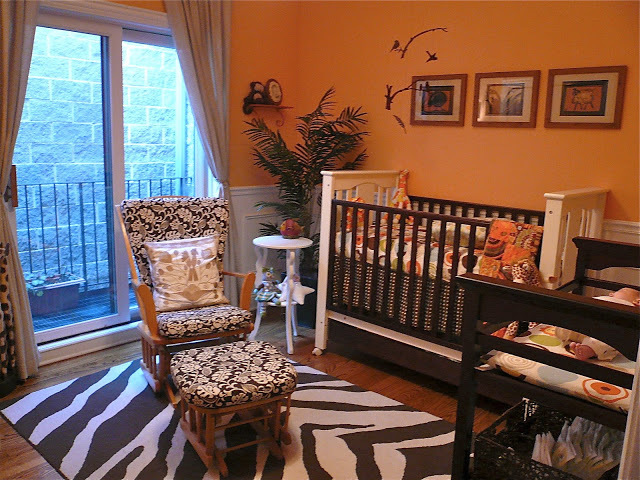 Go bold with color – Kids’ rooms allow you to add color in ways you might be scared to in the rest of your home! 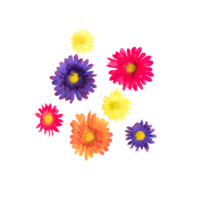 A set of these Pop Art Flowers prints in Bubblegum and Orange Blast add the perfect dose of color on the walls and complement the bright colors in their rug. 5. Make it cohesive – I love an eclectic, curated look when it comes to art in a room, however I like to tie them all together through a similar color palette or matching frames. For the girls room, I created a cohesive collection by using the same white composite frames from Minted. 6. 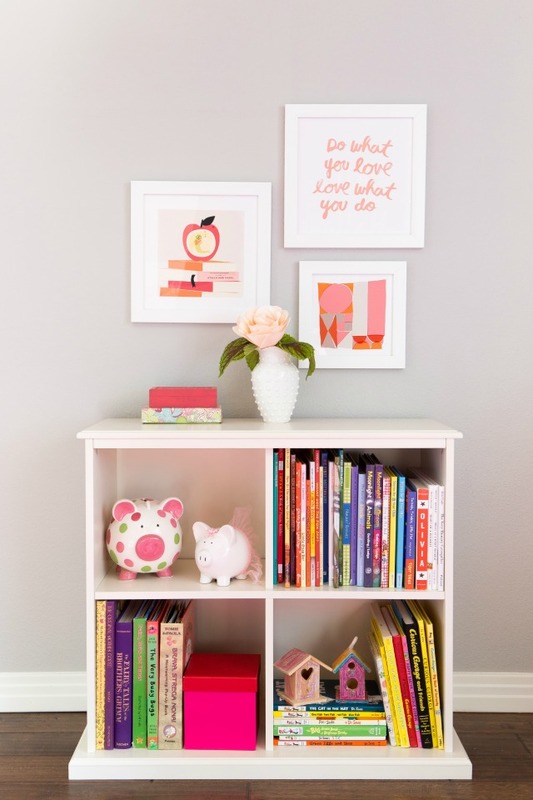 Add some inspiration – I love the idea of a incorporating a special saying or quote into a kids’ room. 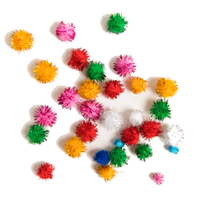 It can spark a conversation with them and have different meaning as they get older. 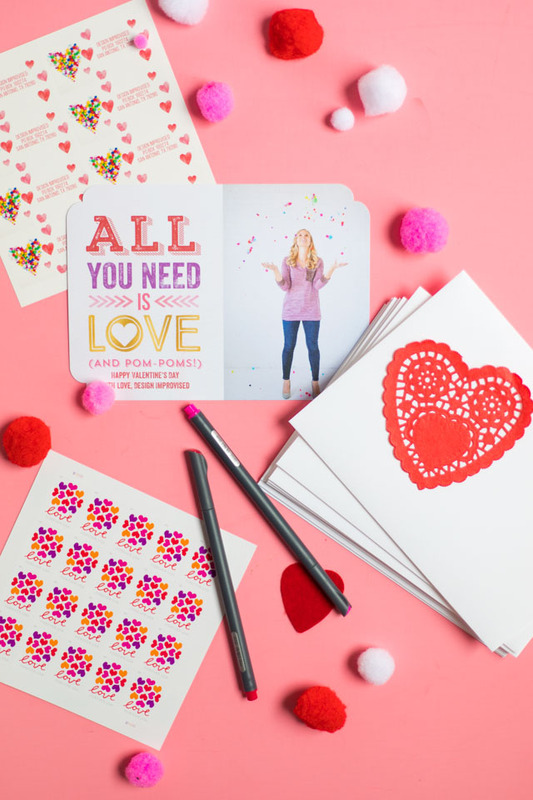 This Do What You Love print was perfect because it is easy enough for Stella to read now, and a simple message that I hope she and Hazel take to heart as they grow! 7. Educate – kids’ art offers a great opportunity for introducing them to new things – it could be a map of the United States, the alphabet, a picture of the solar system, you name it. 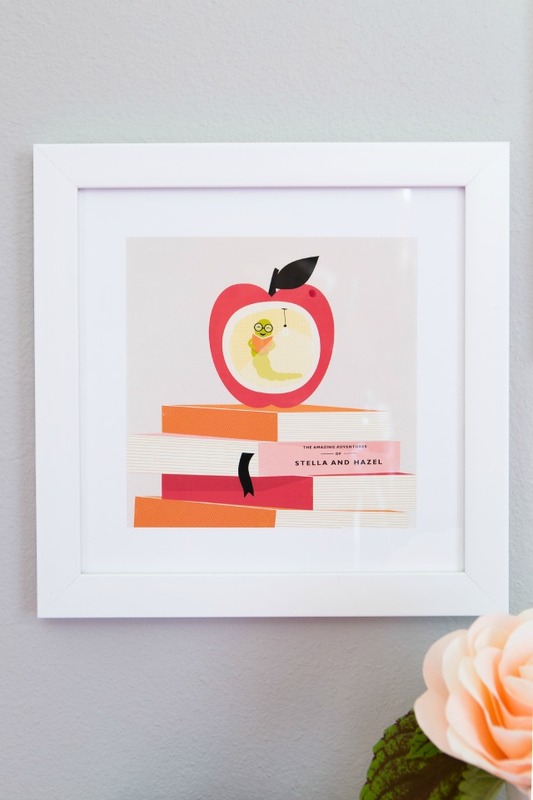 You can find pieces for kids rooms that are both super stylish and educational. 8. 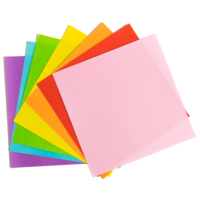 Show off their names – what kid doesn’t like to see their name? 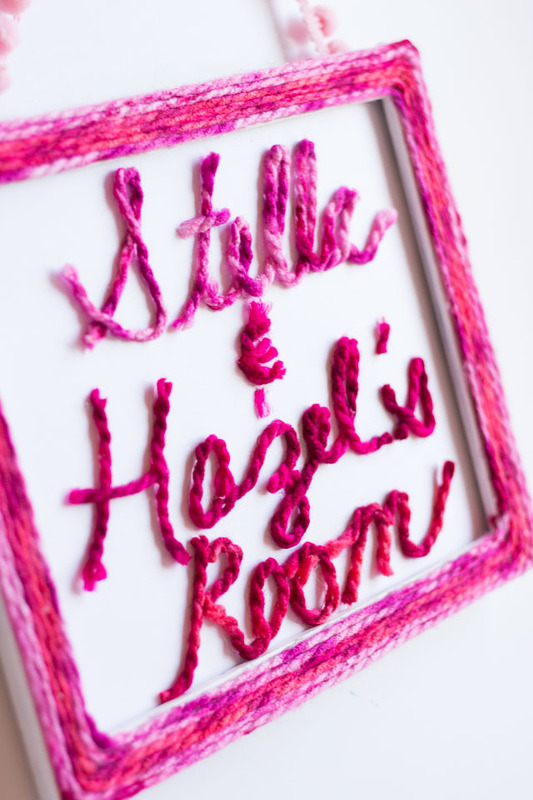 Especially in a shared bedroom it is a nice way to help them carve out their own special spot. 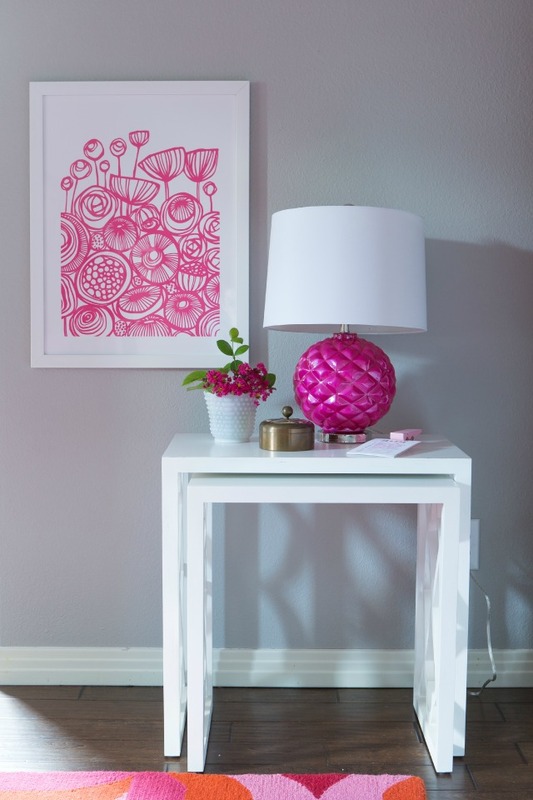 A piece of personalized art is a great addition to a kids’ room. 9. 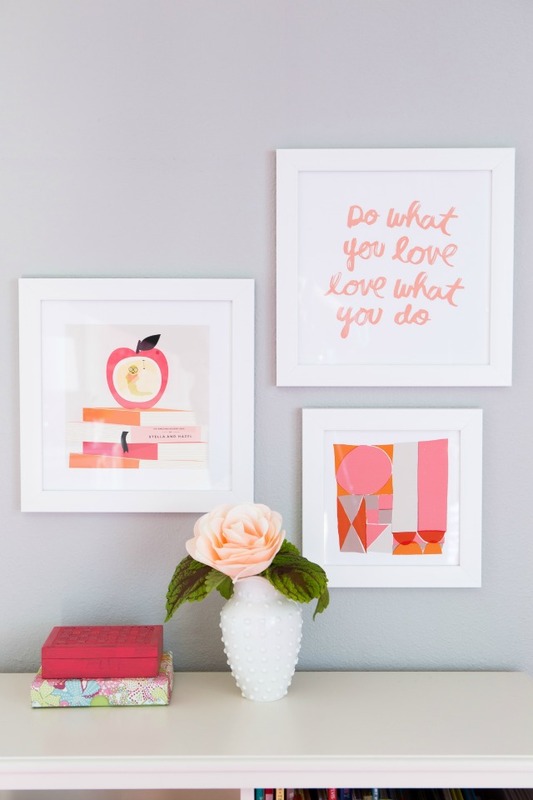 Incorporate their masterpieces – I love incorporating my girls’ art throughout our home, but there is no better place to show it off than in their own room! 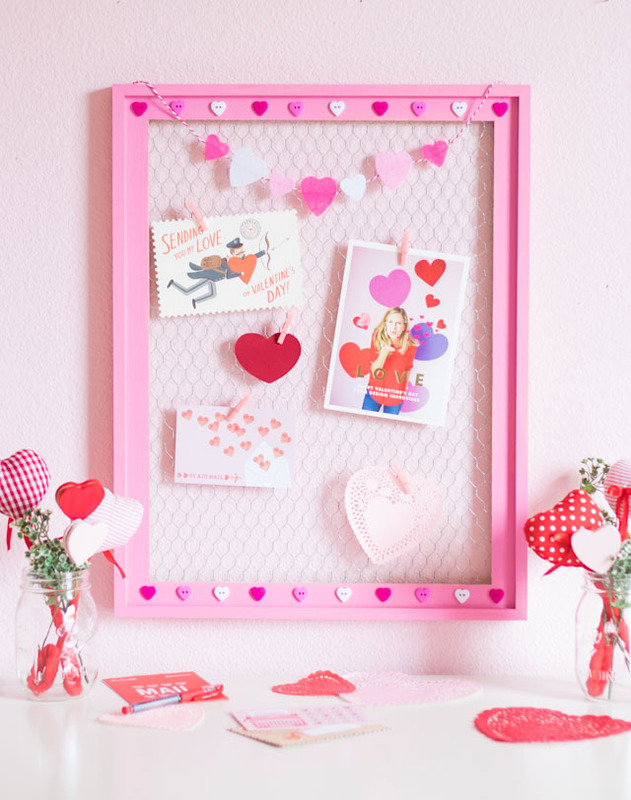 For some ideas, check out this kids’ art gallery wall and hanging art display. 10. 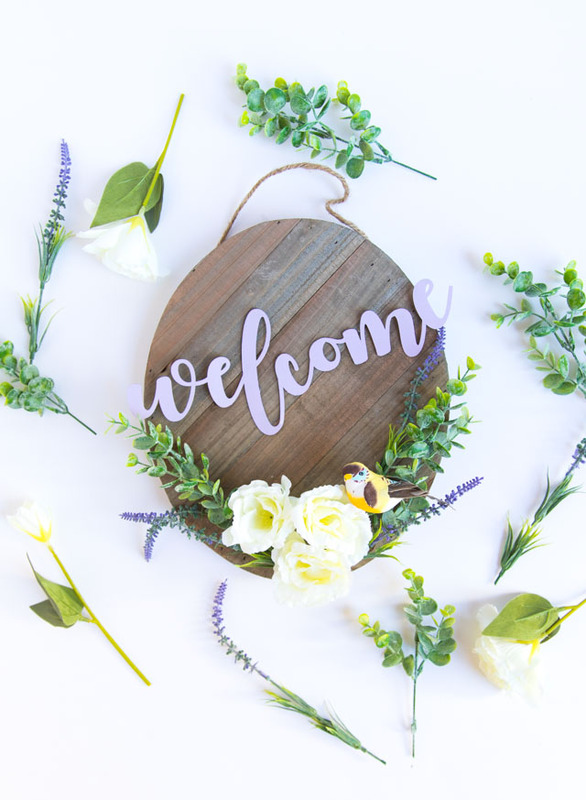 Make a grand entrance – adding a sign to their bedroom door to state the room belongs to them makes it feel like a particularly special place in the house that they can call their own. 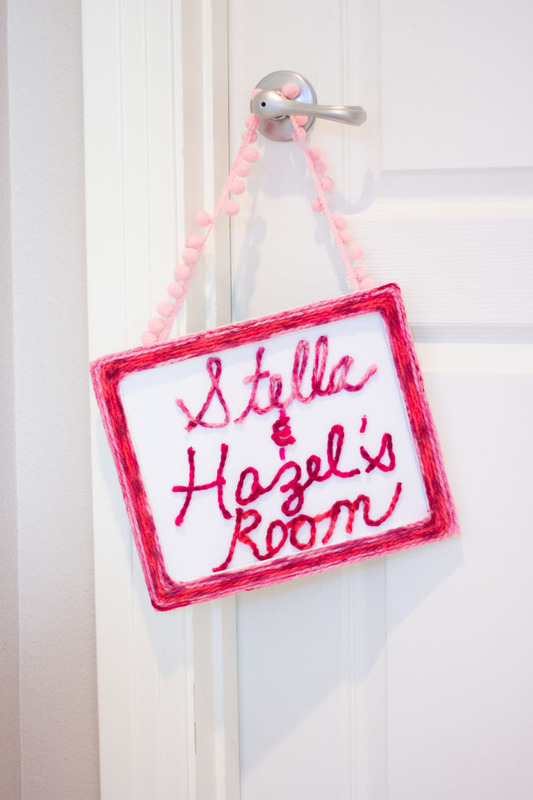 Minted has a variety of gorgeous personalized door signs for only $16. 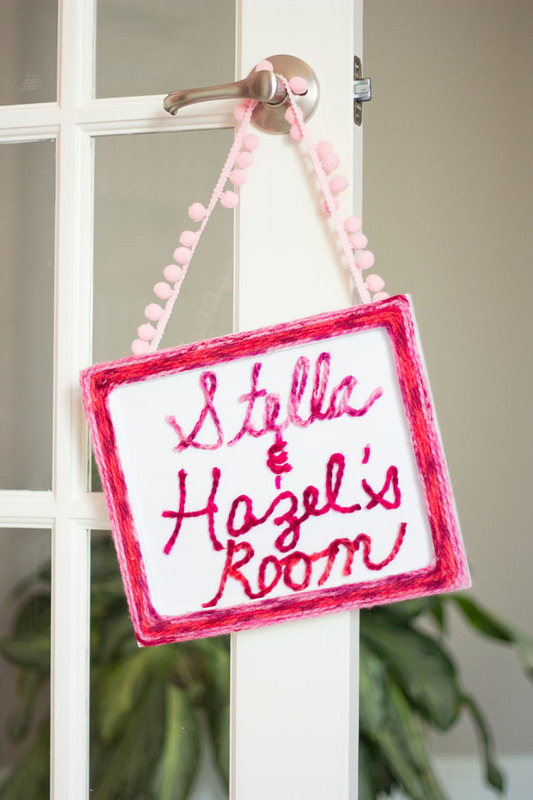 If you feel like getting crafty you can make your own: Read on to see how you can make your own yarn room sign! 1. 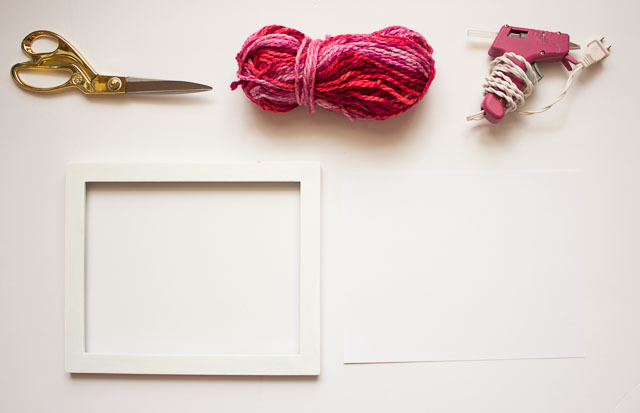 Cut your card stock to fit your frame (I like trace around the glass that comes with the frame). Then use a pencil to write your letters freehand. I went for a cursive look for mine so that the yarn could flow from one letter to the next. 2. 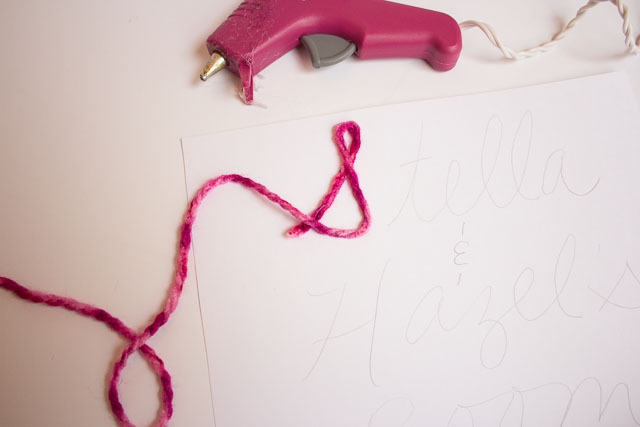 Apply an inch or two of hot glue at a time along the penciled letters and then press the yarn on top of it. Trim as needed to start a new letter. 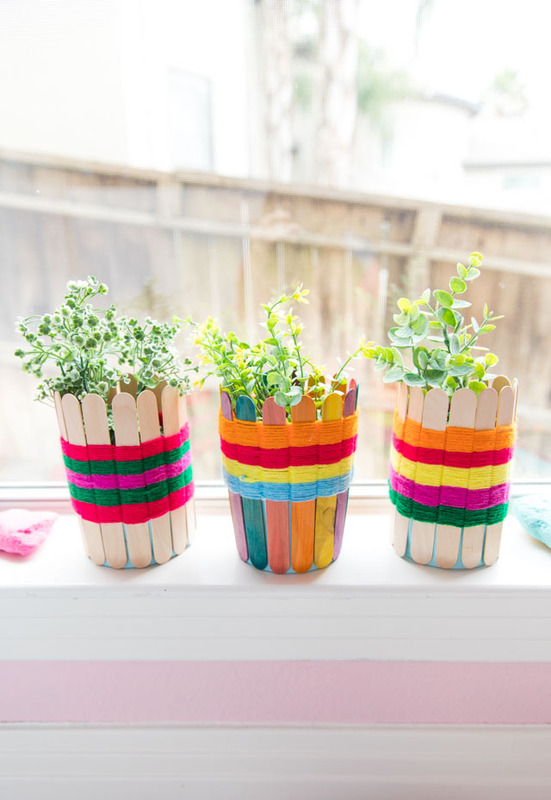 Continue until you have covered all of the letters with yarn. 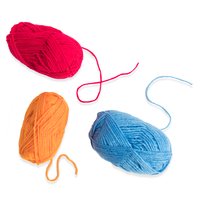 To emphasize the variation of colors in the yarn, I chose different shades from the skein for each of the words. 3. 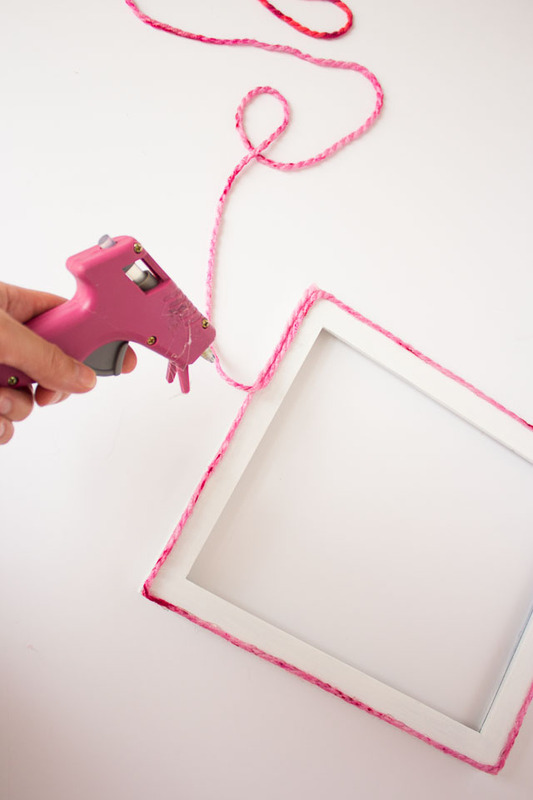 To decorate the frame with yarn, start in one corner and add a bead of hot glue. Press the yarn into the hot glue holding it taut. 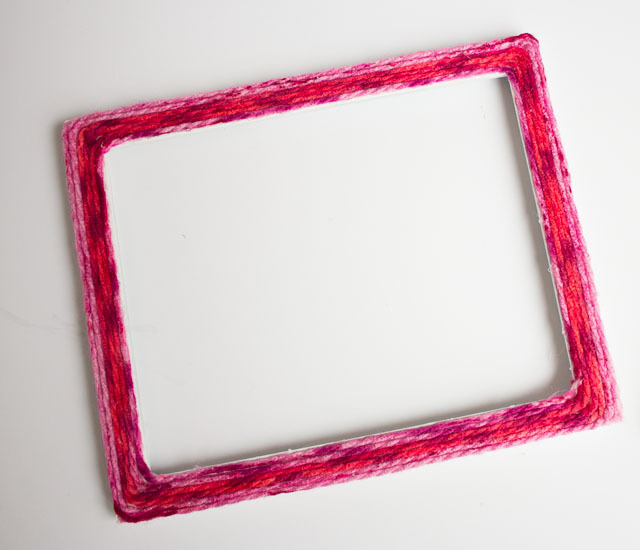 Continue around the frame – you can use one continuous piece of yarn, just wrapping it around in a circular pattern and keeping the rows close together so that the frame doesn’t show through. 4. 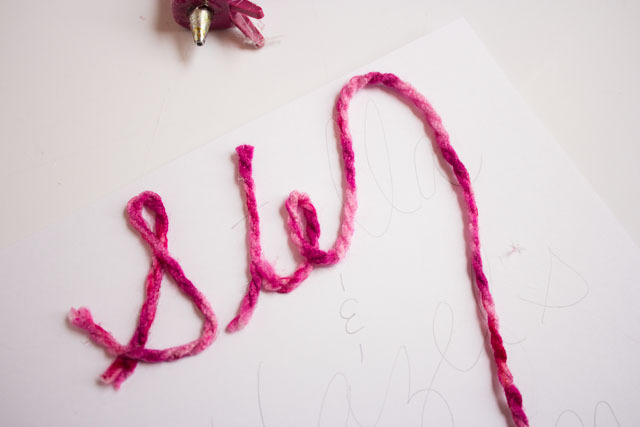 Trim off the end of the yarn, clean up any stray strands of glue, and then add your yarn letters and hang! I left out the glass to avoid pressing down the yarn on the letters and taped a piece of pom-pom ribbon on the back to hang my frame. 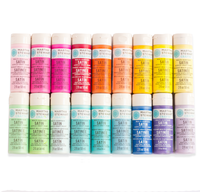 This post is sponsored by Minted. All content and opinions are my own. 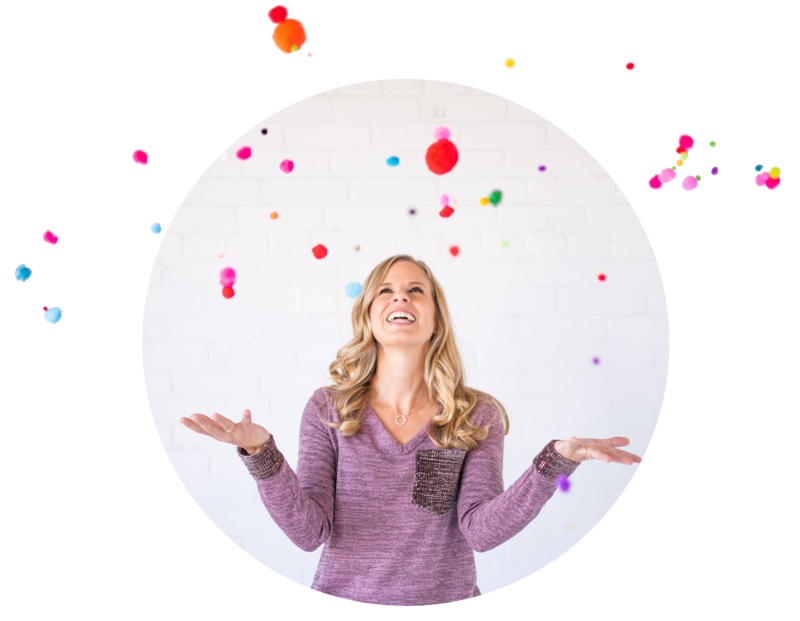 Photos of Minted art by Candice Stringham.